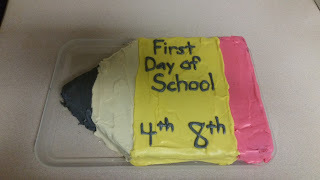 Our first day of school went splendidly. 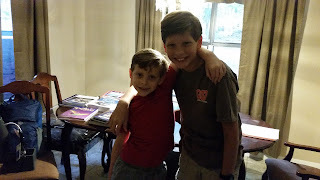 I pray that this is a superb year for the boys and that their teacher does an excellent job of teaching them and loving them and making lots of memories with them this year. 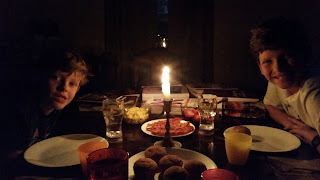 My favorite part of the day - a big first day of school breakfast by candlelight (not by choice, but because the power was out - but this was a great start to the year that we'll remember for years to come). 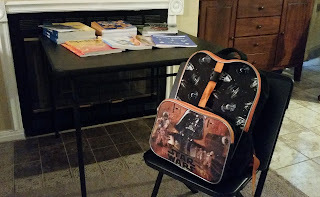 Dawson's backpack full of new school supplies and most of his curriculum (not pictured are the zillions of great books that he/we will be reading this year, or all of his science materials). 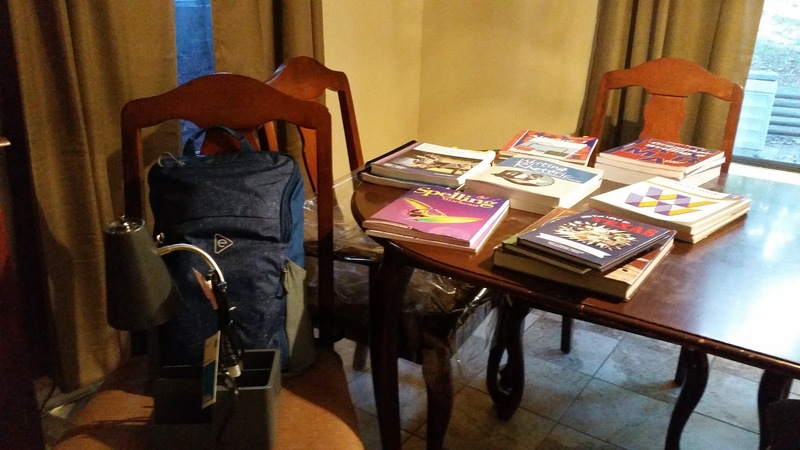 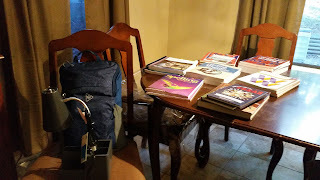 Brady's backpack full of school supplies and most of his school curriculum (again, there are lots more books and science-y stuff that I didn't cram onto the table). 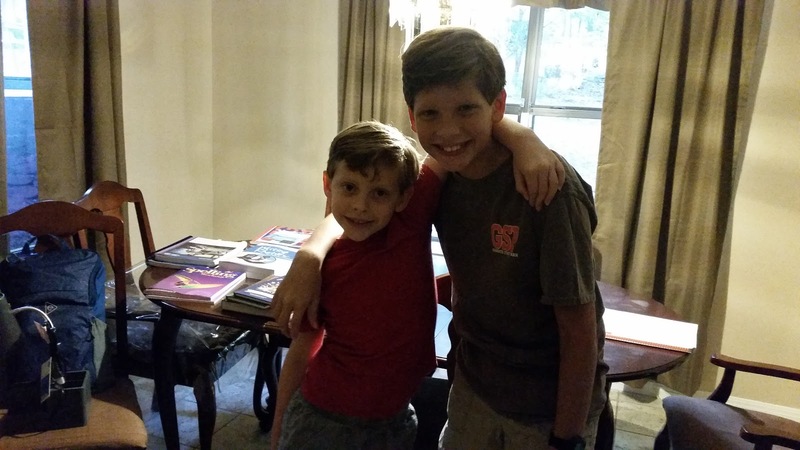 Cuties ready to start their first day. 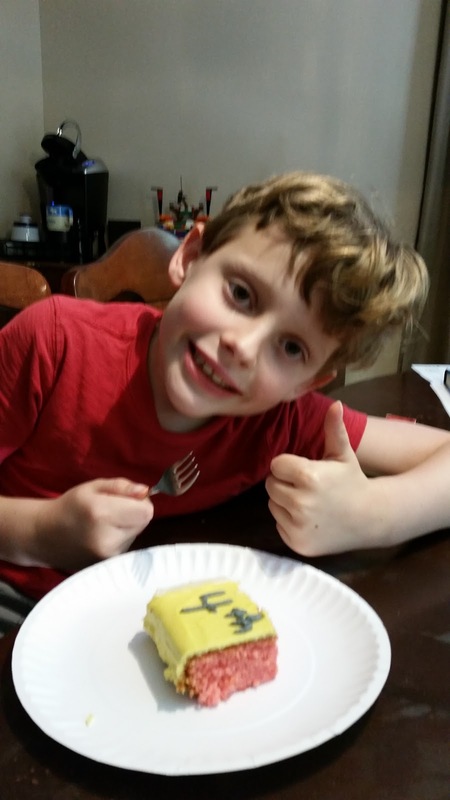 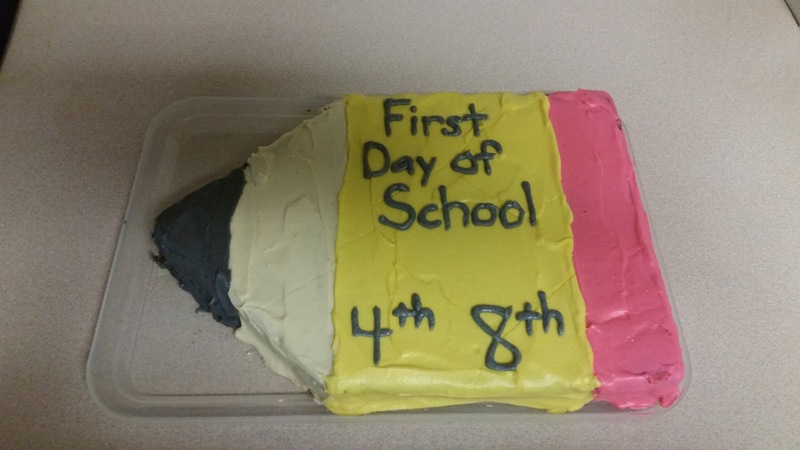 Our first day of school pencil cake. 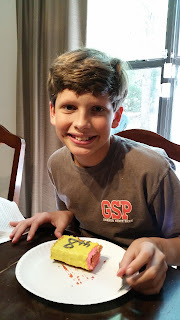 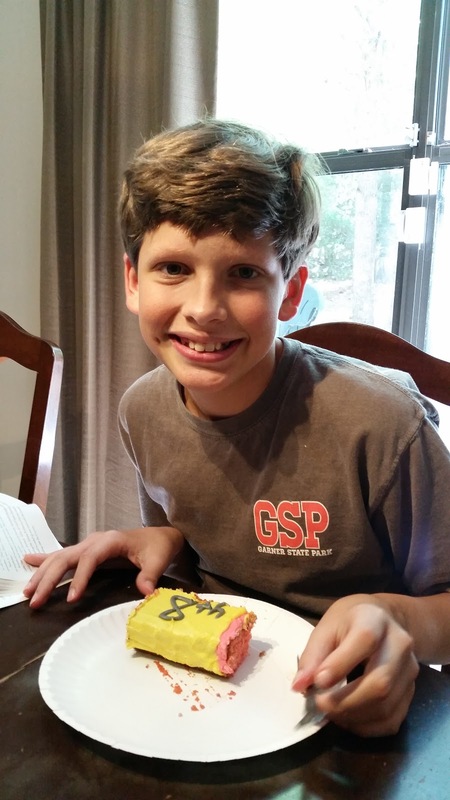 And the 8th grader (gasp!). 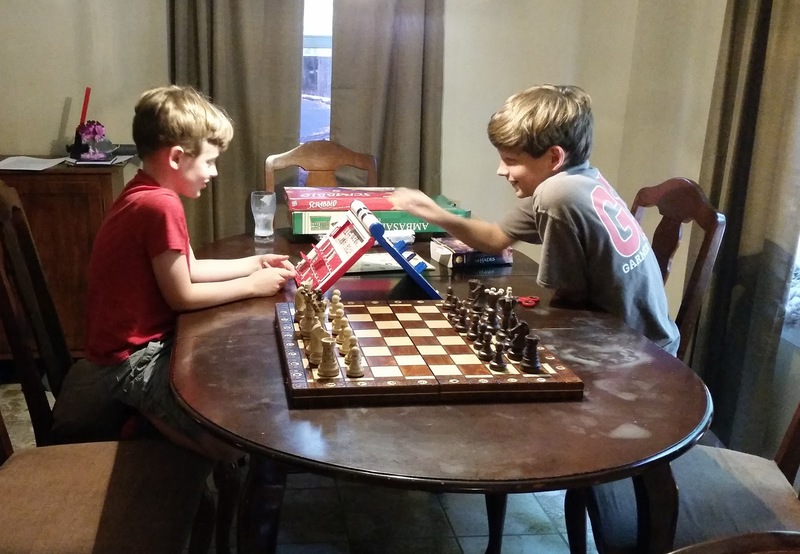 Playing some games after the school day ended.